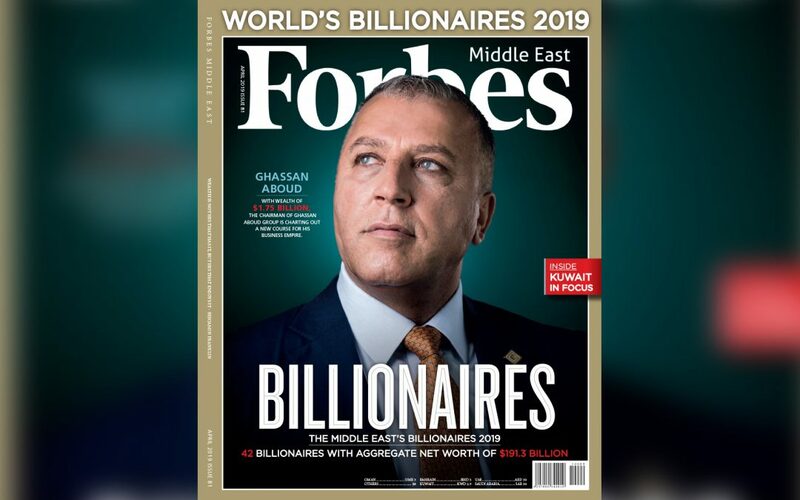 Forbes Middle East recently released the much awaited list of Billionaires in the Middle East in their April 2019 issue. Ghassan Aboud, the Dubai based entrepreneur and noted philanthropist was ranked 16th amongst the Arab Billionaires list with wealth estimated at US $ 1.75 Billion. In the wider list of all nationalities in the Middle East, Ghassan Aboud was ranked 27th by Forbes Middle East. Ghassan Aboud is the promoter and Chairman of the UAE headquartered Ghassan Aboud Group that is engaged on automotive, hospitality, real estate, retail, food, media, logistics and pastoral business sectors – with offices in Australia, Belgium, Turkey and Jordan. Forbes reports that this year, 2153 billionaires from varied sectors are featured with total wealth of US$ 8.7 trillion but were 55 lesser than the previous year. Middle East’s Billionaires 2019, with their aggregate net worth shrinking by nearly 5% to reach $191.3 billion compared with $201.4 billion in 2018. Last year, Forbes ranked Ghassan Aboud 18th in the list of “Most Influential Expats in the UAE for 2018” that recognizes 50 distinctive leaders in the country. 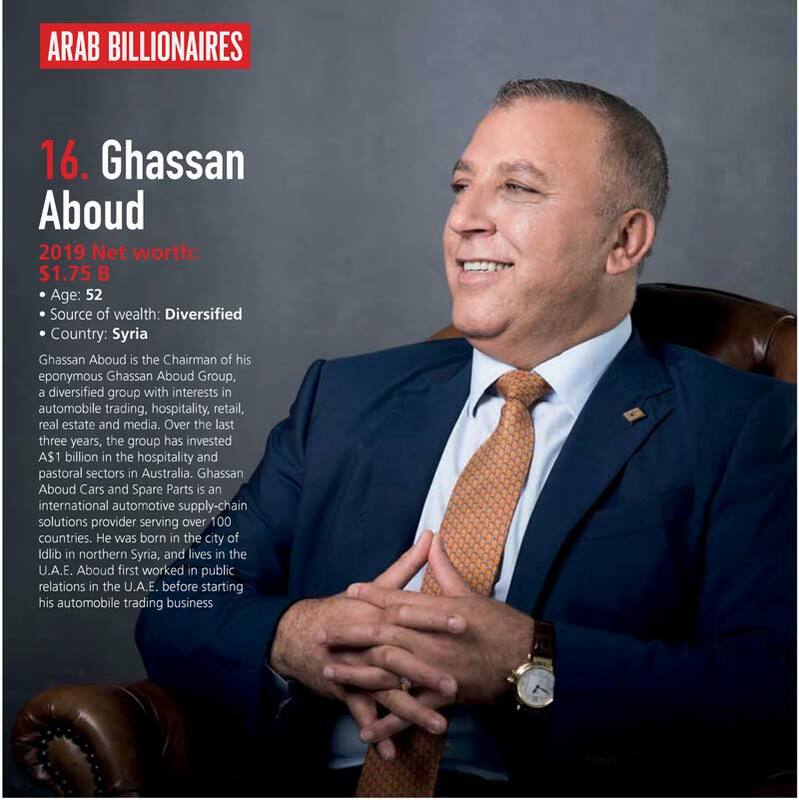 Ghassan Aboud also featured in the cover story of the Forbes Middle East April 2019 issue titled “Ambition Unleashed” wherein he talks about the group’s progress and business plans.